Glenfield's weekly gathering channels the vibe of an outdoor Korean street food market. 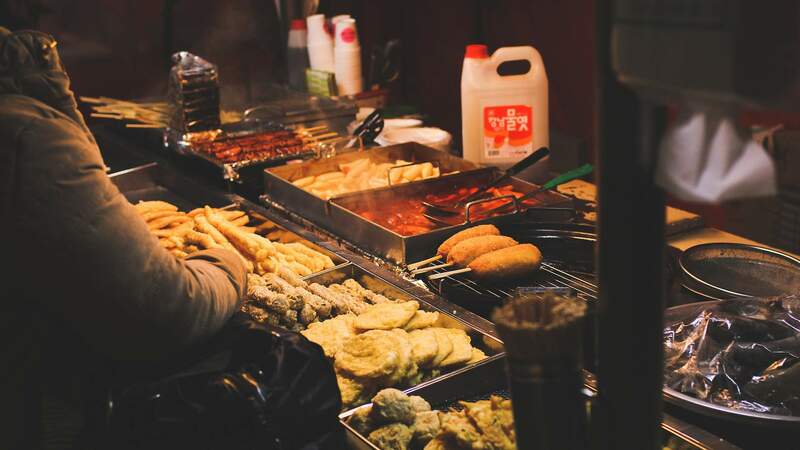 In association with the Korean Consulate in Auckland, the Glenfield Night Market will embrace the buzz and vibe of an outdoor Korean street food market. On 30 September and 7 October the market will come alight with a row of 15 Korean food and grocery stalls. Expect K-food, K-pop, K-drama and a colourful display of videos inspired by the vibrant 80s vaporware culture of South Korea. Food-lovers will feast on traditional dishes like bulgogi, Korean spicy chicken, dumpling soup, tornado potatoes, black hot dogs and creative fusion dishes like Tiger Burger's kimchi creation. Auckland's free and mostly undercover night markets have been running from Pakuranga to Henderson, and everywhere in between, for seven years. Each has its own treasured food item — be it Pakuranga's blooming onion or Glenfield's dim sum — and features over 100 stalls of well-priced international snacks and delicacies, jewellery, electronics, you name it. The Glenfield Night Market can be found in the carpark under Countdown at Glenfield Mall.